There are answers to this crisis, and there is a road map to becoming a family under God. One Family Under God: Preserving the Home as God Intended will unveil the foundational issues within our homes and you will be pointed to lasting solutions. Dr. Tony Evans will help you understand the concept and importance of family as God intended and how the state of the family directly impacts our nation. 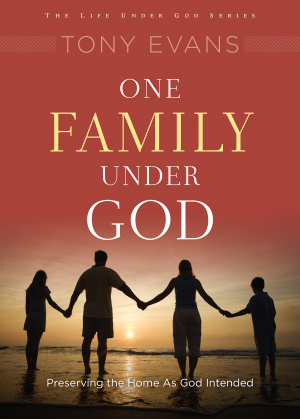 One Family Under God by Tony Evans was published by Moody in October 2013. The ISBN for One Family Under God is 9780802411419. Be the first to review One Family Under God! Got a question? No problem! Just click here to ask us about One Family Under God.